Situated in Providencia, this hotel is 1.6 mi (2.6 km) from Manzanillo Beach and 1.7 mi (2.8 km) from Peak Forestry Reserve. Crab Cay and Bridge of Love are also within 6 mi (10 km). 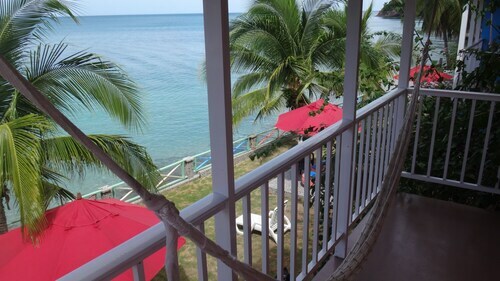 Nestled on the beach, this Providencia apartment building is 1.9 mi (3.1 km) from Manzanillo Beach and 3.1 mi (5 km) from Peak Forestry Reserve. 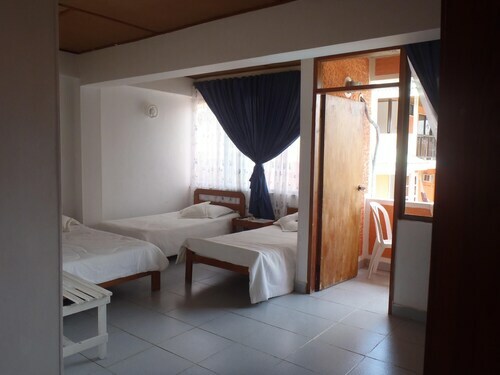 Situated near the beach, this hotel is 2.9 mi (4.6 km) from Manzanillo Beach and 3.1 mi (5 km) from Peak Forestry Reserve. Crab Cay and Bridge of Love are also within 6 mi (10 km). Situated in Providencia, this hotel is 2.8 mi (4.6 km) from Manzanillo Beach and 3.1 mi (5 km) from Peak Forestry Reserve. Crab Cay and Bridge of Love are also within 6 mi (10 km). Situated in Providencia, this hotel is 0.1 mi (0.1 km) from Peak Forestry Reserve and 1.4 mi (2.2 km) from Manzanillo Beach. Crab Cay and Old Providence McBean Lagoon National Park are also within 6 mi (10 km). Situated in Providencia, this hotel is 1.7 mi (2.8 km) from Peak Forestry Reserve and 3.1 mi (4.9 km) from Manzanillo Beach. 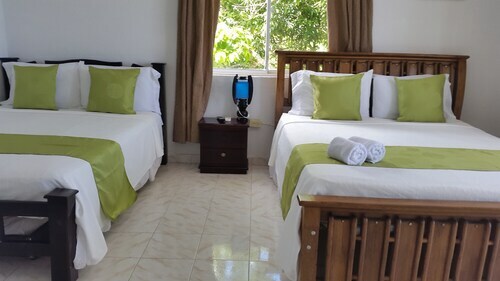 Situated in Providencia, this hotel is 1.8 mi (2.9 km) from Peak Forestry Reserve and 3.1 mi (5 km) from Manzanillo Beach. Situated in Providencia, this hotel is within 1 mi (2 km) of Peak Forestry Reserve and Manzanillo Beach. Crab Cay and Old Providence McBean Lagoon National Park are also within 6 mi (10 km). 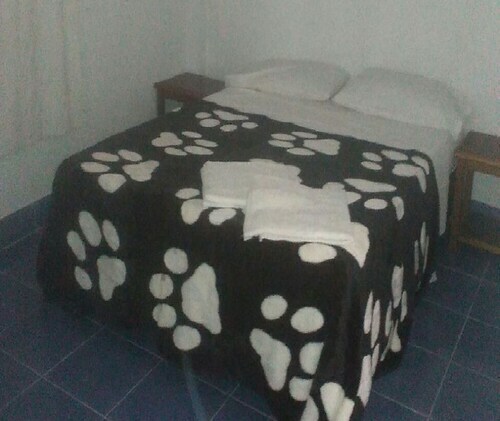 Situated in Providencia, this bed & breakfast is 3.1 mi (4.9 km) from Manzanillo Beach and within 6 mi (10 km) of Crab Cay and Peak Forestry Reserve. Bridge of Love and Old Providence McBean Lagoon National Park are also within 6 mi (10 km). 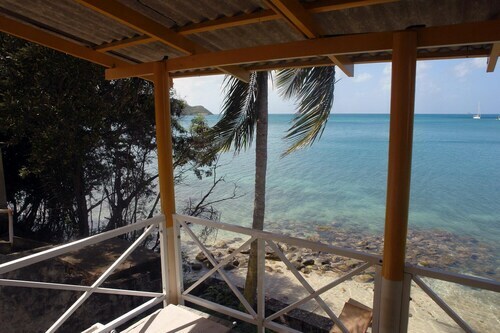 Situated in Providencia, this guesthouse is 1.6 mi (2.6 km) from Bridge of Love and 2.8 mi (4.4 km) from Crab Cay. Old Providence McBean Lagoon National Park is 2.8 mi (4.6 km) away. 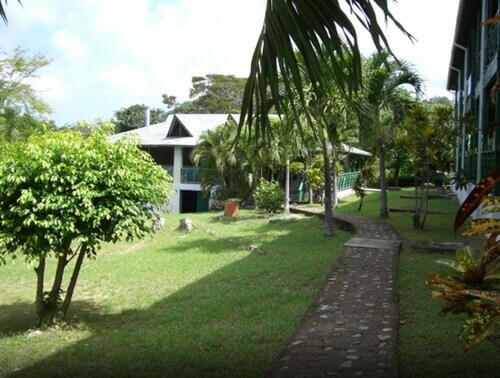 Situated in Providencia, this bed & breakfast is close to Peak Forestry Reserve, Crab Cay, and Manzanillo Beach. Local attractions also include Old Providence McBean Lagoon National Park and Bridge of Love. Getting excited about your adventure to Sirius Dive Center? Don't set out until you've had a look at the following tricks and tips. It's to be found in Aguamansa, which is roughly 1250 kilometres from the nation's lively capital, Bogota. 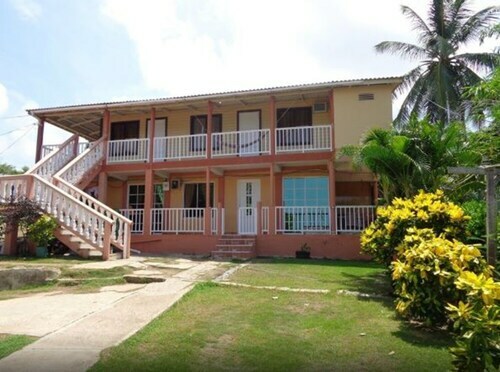 If you need to stay within the local area of Sirius Dive Center, you'll find 3 hotels. 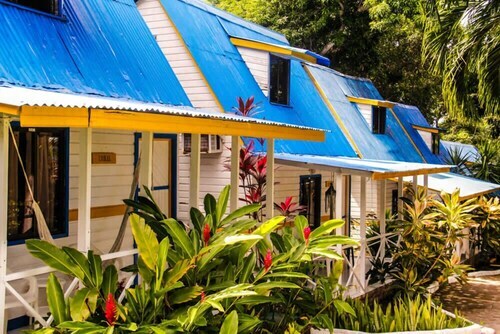 The Sol Caribe Providencia and Posada Enilda are worth considering. Craving a delicious meal? Look no further! Just 0.5 kilometres from Sirius Dive Center is El Divino Niño (Providencia). Stretch out and meander along the beach at Manzanillo Beach. You never know what hidden treasures you'll find. You'll find a number of activities beneath the surface of the water at Felipe Diving Center. Peak Forestry Reserve is a protected nature reserve that is an ideal spot to stretch the legs. Inhale the woody scent of the natural surroundings, as you encounter the charm of Old Providence McBean Lagoon National Park. The stunning arches and state-of-the-art engineering of Bridge of Love make it a well-known landmark among both locals and tourists. How Much is a Hotel Room in Sirius Dive Center? 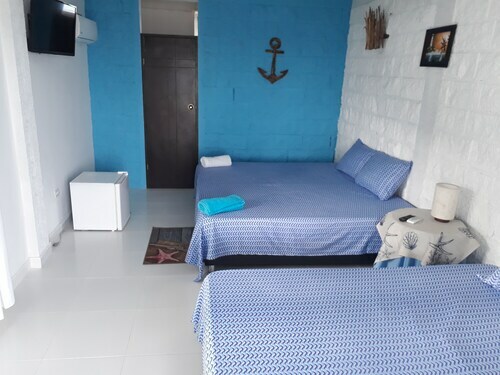 Hotels in Sirius Dive Center start at AU$53 per night. Prices and availability subject to change. Additional terms may apply.